I have a bunch of little jobs and I think a lot of people don’t really know what it is that I do. My main jobs are doing Drop-In Time in my small town in Central Vermont, helping people borrow ebooks via Open Library and writing for Computers in Libraries magazine. I also fill in at my local library, do some public speaking once or twice a month usually locally, and I do a lot of volunteer work for the Vermont Library Association, for my town and for Ask MetaFilter. I thought it would be fun if I outlined what a week in my life looks (looked) like and #NLW16 seems like a good time to do that. This is the stuff I did this week which is library/technology/work related, for me. Sunday – the start of NLW! I did some pre-gaming with some fun Twitter posts (Ghostbusters pinball! Ancient maps!) I helped a friend prepare to transition her website from plain old HTML to something WordPress-y. I sent out an update to the VLA news about the Passport Program and updated some of the web pages that went along with that project on the VLA website. 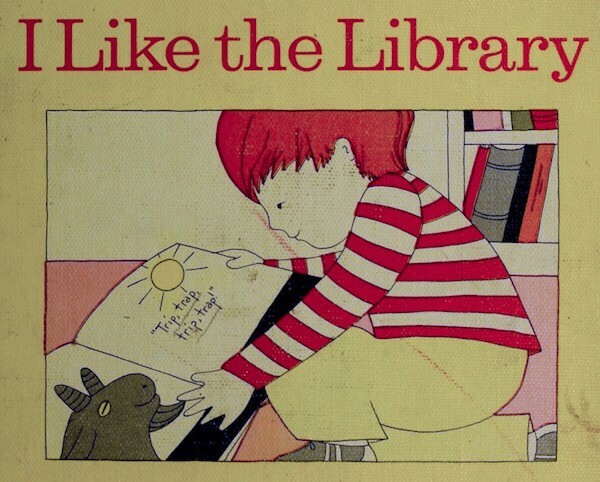 I posted this essay, a speech written in 1909 about the economic value of libraries. Answered about 60 emails for Open Library. Monday – I had an interview with someone writing an article about the Internet Archive. I made arrangements to give a talk at the Vermont Library Conference. I answered a library school student’s 14 question email about my chosen profession. I helped get a poster online and did some social media promotion for the Intellectual Freedom Committee of VLA’s annual lecture. I helped make up a form for reporting materials challenges in Vermont libraries and sent it around to people for proofreading. I set up this week’s mailing for our local music hall (via MailChimp) and sent it back for proofreading. I worked at the public library to fill in for a librarian who had an emergency meeting. I got to work in the children’s room for a few hours which was delightful. I checked out The World’s Strongest Librarian to read later. I helped my landlady post something to my neighborhood mailing list and she gave me a cookie. Answered about 20 emails for Open Library. Wednesday – I did a lot of finalizing of the Passport to Vermont’s Libraries program including getting the website and sign-up form finalized and starting the publicity angle. I inquired about teaching HTML/Web Dev again at VTC in the Fall (I don’t really know if this is a job I HAVE or if this is a job I have to ask about every year). I passed around links to an article that I wrote on moss (you heard me) for a friend’s blog. I gave feedback to the Digital Inclusion Fellow who is spearheading Digital Inclusion Day for the National Digital Inclusion Alliance and gave some feedback on their website for this one-day event. I tweeted a thing and retweeted a thing about the Library of Congress. I helped a friend email advice about copyright for an article she’d written that someone wanted to reprint. I emailed with the VLA Webmaster about some changes I made to the VLA website. I learned to use WordPress’s pagebuilder tools to make a button. I am very pleased about my button. Thursday – This was going to be the day I worked more on my article but instead I wound up writing an email to the libraries who were involved in the Passport Program last year (which involved committee sign-off, etc) and did some planning to table at the Vermont Library Conference and hand out passports. We talked about maybe trying to hand one out to each Vermont Congressperson. I also answered 20-ish emails for Open Library, made some plans to maybe go to a Library Leaders Forum in San Francisco in October. While I was out for a walk I stopped in at a friend’s who was fixing computer issues and I helped him get signed up for a gmail account. He received his first ever text message while I was there (verifying his phone number) and we talked about some other tech issues. His wife is doing a solo sailing trip in the summertime and they want to stay in touch via Skype but they both have to make sure they know how to use it first. Then I went out to pub trivia where my team beat the other teams by HALF A POINT. I like to think it’s because I knew about Kurt Wallander that made the difference. Read some more of The World’s Strongest Librarian. Started trying to find a WordPress plugin that can do a sidebar calendar for this site. Posted a book I’d finished reading to my booklist. Friday – Today I finished writing my article on cybersecurity which cribs heavily on the last post I made. Submitted it over email after emailing it around to get some feedback. We got word that we found a print shop which will print the Passport to VT Libraries for free which is great news. Lots of emails about that. Also decided to create a Facebook Event for the livestreamed nomination hearings of Dr. Carla Hayden (on 4/20) so I did that via the VLA facebook account and posted it to the Facebook pages of every state library association in the country. Phew. Also checked the VLA email inbox since our usual social media person is at DPLAFest. Posted a job to the website. Did some back and forth with the University of Hawai’i (where I am teaching an online class next month) because I had written something wrong on my I-9 form which means I have to go back to the notary and get it fixed. Went to the post office and mailed a copy of my book to my alma mater’s library which, inexplicably, does not have a copy. Talked to folks at the Internet Archive about sending a letter of support in for Dr. Hayden (you can too!). Read and tweeted out an article on Daily Kos by a cataloger explaining why the push by one Tennessee Congressperson to get the Library of Congress to change the subject heading back to “illegal immigrant” is totally wrongheaded. Sent my boss some fundraising ideas so we can maybe pay for drop-in time next year. Emailed a friend visiting Georgia about some librarians he might like to meet there. Worked on my slides for my URI talk. Read an article in the Atlantic about library visit numbers going down which raised more questions than answers and discussed it on Facebook with Heather Braum. Finished writing this. I’m taking the day “off” tomorrow to celebrate a neighbor’s second birthday, have lasagna with friends, and then drive down to MA before my URI talk on Monday. So for all intents and purposes this concludes my National Library Week. How was yours?